ok that took me a minute. and now i confirm your genius. There should be two more places where the circle crosses the white stripe. 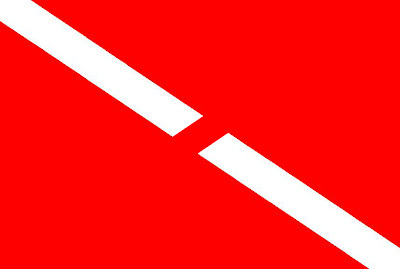 Hey Grouchy Old Man... hows about you run out and get a copy of MS Paint and make your own dive flag joke. I spent at least two minutes Photoshopping this and if you think you can do better, then do it.